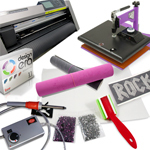 - 15" Cutter-Plotter Make T-Shirts, Stickers, Signs, rhinestone templates and so much more. Use with rhinestone template media and Hotfix Era Rhinestone Stencil software, to create rhinestone stickers and apparel! Use with heat transfer vinyl to create custom t-shirts with solid colors, glitter and patterned materials. The Graphtec Plotter has a maximum cutting width of 15", with a max cutting speed up to 1000mm per second, and a NEW cutting force up to 450grams of force. With such a fast, accurate and versatile desktop cutting plotter, you can contour cut most any media. 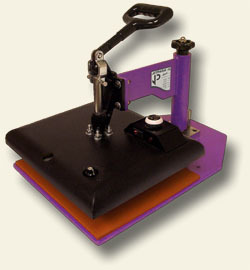 Graphtec Plotters come with a one-year warranty parts & labor. Additional 1 year if you register your cutter with Graphtec America. 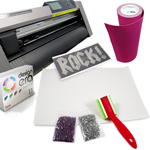 The ALL NEW Graphtec CE6000-40 PLUS - 15" Cutter-Plotter Make T-Shirts, Stickers, Signs, rhinestone templates and so much more. On the job, the CE6000-40 offers real cost/performance advantages over other brands of cutting plotters: rear media roller brake, faster cutting speeds and higher cutting force, you�ll have the flexibility to handle a wider range of material. The USB 2.0 full speed data interface or RS232C Serial Port ensures a reliable connection to the computer, either on a Mac or Windows PC. The CE6000-40 comes with Graphtec Studio design software (Mac & Windows compatible) and the completely new Cutting Master 3 Production Manager and Plug-in for the latest versions of CorelDRAW� and Adobe� Illustrator. The CE6000-40 (desktop cutter) delivers a maximum cutting force of 300 grams and a maximum speed of 24 inches per second. The new, built-in front control panel provides complete parameter control including eight preset cutting conditions, as well as advanced features like tangential control mode, down force offset, pen up speed, blade wear monitoring and more. With a 25-pin RS-232C or the Full Speed USB 2.0 control interface, the CE6000-40 is compatible with legacy computer systems as well as the latest PC's available now and for several years to come. Windows Compatible 8/7/Vista/XP/2000 ***** Mac compatible with systems running OSX 10.4-10.8. *Cannot use Cutting Master with CorelDraw Download (Home) version or Education version since they do not include Visual Basic. Users with these two versions have to contact Corel and upgrade to full versions. (1) Optional, extra push roller may be required.